The Cinémathèque Française in Paris is hosting one of the biggest projects presenting Lithuania’s national cinema, a two-week long film retrospective which opened yesterday. It also marks the launch of a cycle of events in France to celebrate the centenary of the restoration of Lithuania's statehood. The French cinema-going public will have the chance to explore the most extensive programme of Lithuanian film put together in recent years, covering several generations of filmmakers and a variety of genres and styles, Lithuanian Film Centre announced in its press release. The retrospective of Lithuanian cinema at the Cinémathèque Française consists of selections of documentary shorts from the 1990s, contemporary features and animated films as well as titles from the classical canon of national cinema; over 30 films in total. The programme puts a spotlight on two most accomplished Lithuanian film artists, Jonas Mekas and Sharunas Bartas. Interestingly, the Lithuanian-born icon of American avant-garde cinema, Mekas, has himself picked the films he wants to show and will participate in the events in Paris. On Monday, the retrospective was opened with Sharunas Bartas' latest film Frost which has started its run in cinema theatres around France. The programme is organised by the Lithuanian Film Centre in cooperation with the Embassy of the Republic of Lithuania in France. Caroline Maleville, programmer at the Cinémathèque Française who has put together the retrospective, talks about Lithuanian cinema, its distinctive language, attributes and transformations with journalist Marielle Vitureau. Before you threw yourself into programming the retrospective, had you seen any Lithuanian films? I knew very little of Lithuanian film, except for the two great figures in modern cinema, Sharunas Bartas and Jonas Mekas, who both have, in their respective genres, created powerful and aesthetically remarkable bodies of work. Jonas Mekas in particular has a special place as an exiled filmmaker in the United States as well as a leading figure in underground cinema thanks especially to his work in diary films. I had little opportunity to see any other Lithuanian production which is difficult to come by in France and is only screened in festivals. The Cinémathèque presents a retrospective of Lithuanian cinema from its beginnings to recent works. Is there a consistency to the Lithuanian output? What are the marked features of Lithuanian cinema? What is striking, beyond the fact that Lithuanian cinema has been shaped by its Soviet heritage, is a poetic vision that attaches itself to important visual explorations and runs across very different periods: the 1960s with Feelings (Algirdas Dausa and Almantas Grikevičius, 1968) or The Beauty (Arūnas Žebriūnas, 1969), the 1990s with Audrius Stonys' Earth of the Blind and Antigravitation, Arūnas Matelis' Ten Minutes Before the Flight of Icarus, Sharunas Bartas' In Memory of the Day Gone By, until today with The Summer of Sangaile (Alantė Kavaitė, 2015). Five filmmakers have accepted our invitation to come and discuss their films with the public: Sharunas Bartas, Audrius Stonys, Arūnas Matelis, Alantė Kavaitė and Jonas Mekas. Each one will present and help explore different currents and periods in Lithuanian cinema. Audrius Stonys, Arūnas Matelis and Sharunas Bartas will speak together about the documentaries they have made which marked the renewal of Lithuanian cinema in the 1990s. 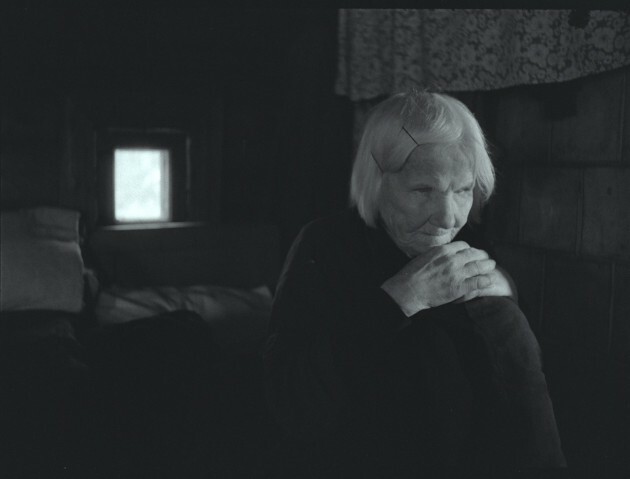 Similarly, Alantė Kavaitė, the author of The Summer of Sangaile, will present a very beautiful film, The Beauty. I am very curious to know what that film means for her and how it could have contributed to her own desire of becoming a filmmaker. We have also asked her to pick any film and she chose Manji by Yasuzô Masumura, a Japanese film which resonates with the sensuality of The Summer of Sangaile. The meeting with Jonas Mekas will evidently be a powerful moment, allowing the public to understand and approach Lithuanian cinema from a different angle, through form as well as his point of view as an expatriate filmmaker. Could you explain what you mean by visual explorations? How do they show on film? Clearly, they manifest differently in each filmmaker, but we often see exploration in how they compose the frame or move the camera. It is the case in, for example, The Beauty. Meanwhile Sharunas Bartas concentrates on immobility and long takes. Alantė Kavaitė's films could represent a synthesis of both approaches in her precise and at the same time lyrical mise-en-scène. Why have you decided to single out Jonas Mekas and Sharunas Bartas in the retrospective? Paradoxically, they are relatively little-known in Lithuania. The force of their films lies in their original cinematic language. What influence do their works carry today? Sharunas Bartas and Jonas Mekas are absolutely the most identifiable figures of Lithuanian cinema and enjoy wide recognition abroad. Even though each has created a very personal narrative and formal universe, we could see in their films a reflection on temporality coupled with extensive and original work on image and sound. In this regard, one could suppose that Bartas' films, even though he is still quite young, could have influenced Sergei Loznitsa, for example. He himself was probably influenced by filmmakers like Béla Tarr, Andrei Tarkovsky or Alexander Sokurov, the latter two being fellow graduates of VGIK, the National Institute of Cinematography in Russia. The sources of inspiration for Jonas Mekas are more diverse, but directors working extensively in the genre of diary film, say, Rémi Lange or Jonathan Caouette, have definitely seen his work. The Lithuanian "national" cinema had its momentum during the Thaw period in the Soviet Union after 1968. Two films shown here would not be screened anywhere outside Lithuania, not even in the rest of the USSR (Feelings and Saduto Tuto). Do they still possess their subversive character? One can understand why, in the context of the era, such strong and nonconforming characters as we see in Feelings and Saduto Tuto could have seemed problematic. Today, in a different political environment, their subversive charge is less striking, yet in the body of films that I've been able to see such characters are rare enough to be remarkable. This period is also one of liberation in the West. Do you see any similarities between Lithuanian and Western production? Could one feel Western influences in Lithuanian cinema? It is hard to say, since the Lithuanian aspect – or, more widely, Eastern European – of these films is quite strong. Still, one does sense in them formal liberty that is not without equivalent in the new French or Italian cinema of the time. Lithuania is known for its poetic documentaries that have garnered a number of awards in film festivals in the early 1990s. What is remarkable about these films? Has the style of these filmmakers attracted any followers? Again, the most outstanding feature of these films is their poetic power and visual splendour which serve to articulate reflections on the human condition through characters at once rough and fragile. In the end, they are quite recent films and, as they have had little exposure abroad, except for those of Bartas, it is difficult to see whether and how they have influenced other filmmakers. A new generation of filmmakers have come of age. Could the themes explored in Lithuanian films, their cinematic qualities be interesting to the world? I've had the pleasure to discover a part of contemporary Lithuanian cinematic production in all its forms – short and feature, animation, documentary and fiction – and I think that the programme at the Cinémathèque will showcase its vitality and great diversity. I didn't get the sense that there is one leitmotiv or an aesthetic common to all these young filmmakers. On the other hand, a great desire to open up to the world is perceptible in many. 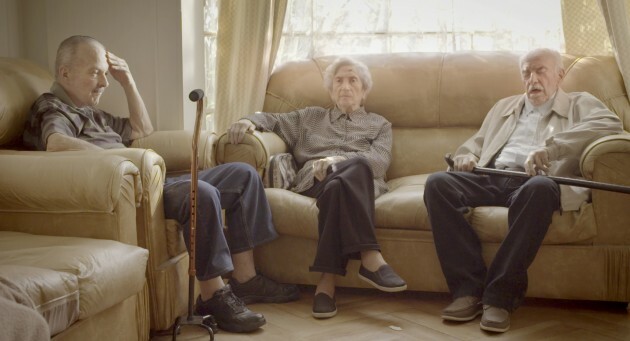 A feature many of them share is an aesthetic legacy with a documentary and poetic imprint still present in the films like Mariupolis by Mantas Kvedaravičius or I'm Not From Here by Giedrė Žickytė and Maite Alberdi. I have also seen more mainstream films marked with stronger influences of Western cinema, be it in their genre qualities – thriller, science fiction – or aesthetics, but I found them less relevant and decided not to include into the programme.